ArmaDebugEngien gives failure message. But I never start ArmaDebugEngine. Up to now the error don't harm my game so I have no problem with the failure message. The error came with update from Monday 2017/04/10. 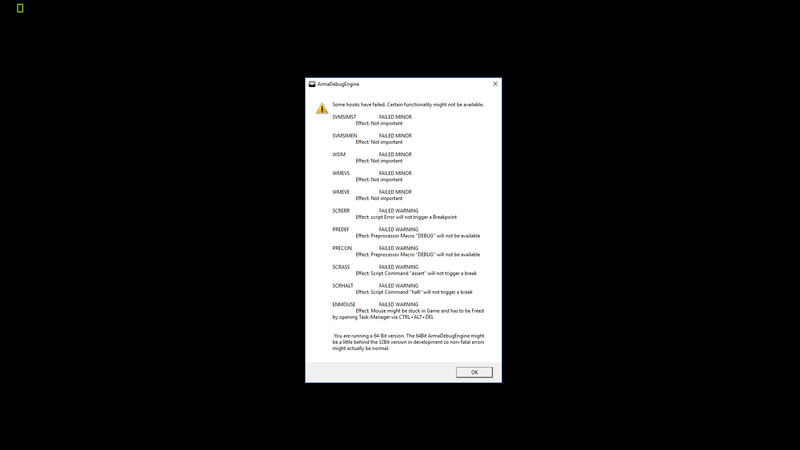 I attach the two error messages and also Arma report log. Start Arma from Arma Launcher. Or start Arma with Arma3Sync. All with and without Mods.